Each year the South Eastern Massachusetts Association of Student Councils (SEMASC) gather together for a semi-annual leadership conference. This year, the SEMASC Spring Conference will be held at Rockland High School on April 11. Over 500 students, not including Rockland students will be attending the Spring Conference. The theme of this conference, “The Game of Leadership,” will integrate different games and characters of board games into the conference. These may include things like Monopoly and Sorry. In this way, the characters and games will display leadership qualities and help to inspire the student leaders. Rockland has hosted passed SEMASC events such as a round table in 2007, but this is the first SEMASC Spring conference that Rockland has hosted ever. Students in SGC have attended similar conferences such as the SEMASC Fall Conference at Whitman-Hanson Regional High School. “It’s a really awesome thing to show off our town and our new school. 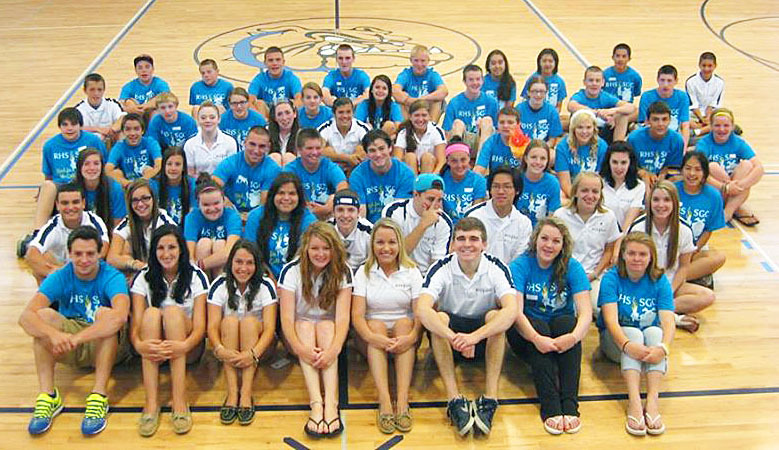 Its something that everyone, in student council or not should be proud of,” says SEMASC board member Haley Macray. SEMASC board members have been meeting weekly since the beginning of the school year to discuss theme, decorations, a schedule, and to distribute jobs to members of the board and council. During this conference, student leaders will participate in group workshops, energizers, icebreakers, large group activities, and delegate elections. Delegates are representatives of the student leaders, who voice the issues and ideas that may help SEMASC as a whole. RHS sophomore Ashley Pezzella will be running for the position of SEMASC delegate at the conference. She will be reading a speech to the region, and then schools will vote for whom they choose for delegate. There will be four delegates elected total. While this conference is going on, non-SGC students will be listening to a guest speaker, Tony Pina. He is a Silver Lake student government advisor with an interesting story.